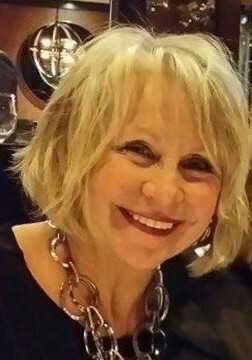 Connie Sue Samuels, 66, of Noblesville, passed away peacefully surrounded by her family on Wednesday, April 10, 2019 at her home in Noblesville. She was born on March 2, 1953 to Jack and Mildred (Carvin) Samuels in Anderson, Indiana. Connie graduated from Madison Heights High School in 1970. Connie was a category manager for Marsh Supermarket for 12 years. She was also a manager at Chico Clothing Retailer in Carmel and a Wine Steward at Kroger. Connie was very faithful and a fun loving spirit to everyone she knew. She loved to talk and give others advice to help everyone live a happy life. Connie could walk into a room and light it up with her presence. She was the life of the party. Connie enjoyed traveling and vacationing at the beach. Her daughters knew her as their best friend. Connie said her greatest accomplishment and legacy were her girls. She is survived by her daughters, Lori (Jeff) Jannsen, Jenny Morgan, and Jackie (Josh) Carey; brother, John (Judy) Samuels; sister, JoAnna (Bob) Myers; grandchildren, Zach and Jackson Jannsen, Maddie (Evan) Beck, and Morgan and Sam Carey; great-granddaughter, Mia Lynn Beck. In addition to her parents, she was preceded in death by, Randy Lee Pokorzynski; brother and sister-in-law, Richard and Janice Samuels; and a brother Jim Samuels. Services will be held at 7:00 pm on Friday, April 19, 2019 at Randall & Roberts Fishers Mortuary, 12010 Allisonville Road in Fishers, with Amos Taylor officiating. Visitation will be from 3:00 pm to the time of service at the funeral home. In lieu of flowers, memorial contributions may be made to IU Simon Cancer Center for Multiple Myeloma Research, In care of IU Foundation, PO Box 7072, Indianapolis, IN 46270.